THE countdown is on for the start of the 2018 FIA World Rally Championship in Monte-Carlo in less than two weeks’ time following a spectacular season launch at the Autosport International show in Birmingham yesterday. Rallye Monte-Carlo will start on Thursday 25 January in Monaco’s glamorous Casino Square and finish on Sunday in front of the Royal Palace, with expectations that new driver line-ups, upgraded cars, more sponsor investment and a ground-breaking new all-stages broadcast-coverage plan will lift the competition to even greater levels after a thrilling 2017 season. 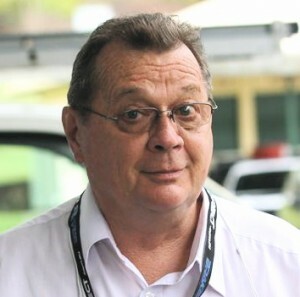 The 13-round championship will finish at Kennards Hire Rally Australia on the New South Wales Coffs on 15-18 November. 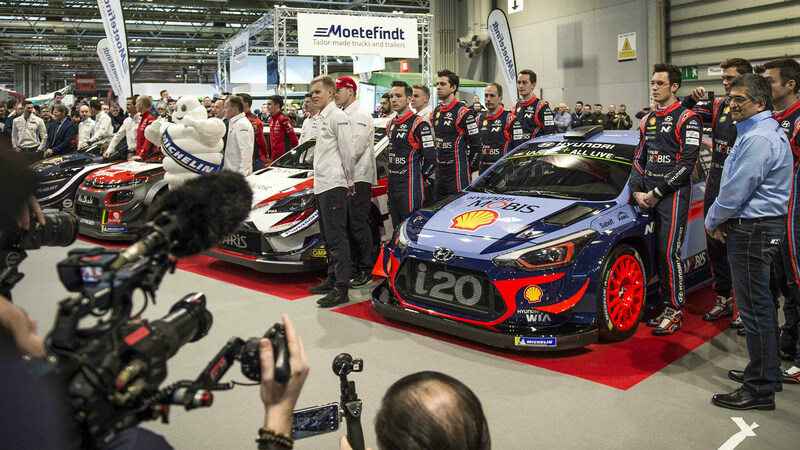 Manufacturer teams representing Citroën, Hyundai, M-Sport Ford and Toyota provided a first public look at their re-liveried 2018 World Rally Cars as they lined up side-by-side on the Autosport International stage during a day dubbed Takeover Thursday. The prestigious show traditionally kick-starts the international motorsport season and the WRC staged its official launch there for the first time. The four-day event was opened by five-time World Rally Champion Sébastien Ogier and his co-driver Julien Ingrassia, who were joined by all the teams’ crews and principals to share their views on the new season. • WRC Promoter, the championship’s commercial rights holder, announced ground-breaking plans to show live coverage of every special stage from every rally – including Rally Australia – as it happens. The new WRC All Live service will offer more than 25 hours’ coverage from each round as a continuous live stream, including expert analysis from the WRC’s TV studio and breaking news, interviews and reactions from across the service park. • Ford announced extended support to M-Sport, winner of both the drivers’ and manufacturers’ titles in 2017. The renamed M-Sport Ford World Rally Team will receive additional technical help from Ford Performance in USA, as well as extra financial backing. • Mads Østberg will join Citroën Total Abu Dhabi World Rally Team for Rally Sweden (15-18 February). The Norwegian and co-driver Torstein Eriksen will drive a third C3 alongside Kris Meeke and Craig Breen. “We’re talking about further rallies but nothing has been confirmed,” Østberg said. • Ott Tänak and Martin Järveoja made their first official appearance in Toyota Gazoo Racing colours after joining the Finnish-based team from M-Sport for 2018. • Dani Sordo appeared with new co-driver Carlos del Barrio. Del Barrio, who previously partnered his fellow Spaniard between 2011-2013, replaces Marc Marti alongside Sordo at Hyundai Motorsport. WRC Promoter managing director Oliver Ciesla said there was no better place to launch the championship. “Takeover Thursday provided a marvellous opportunity to showcase the 2018 WRC to a global media audience. It was a fitting way to kick-off the new season and raise the anticipation ahead of the opening round in a couple of weeks. Let battle commence!” he said. With conditions ranging from snow and ice to high-altitude, tarmac, gravel and sub-tropical, the WRC is the world’s most challenging international series for production-based cars.